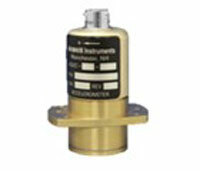 ETLG Inertial Aerosystems announce the declassification of the ASXC series of angular accelerometers. This force balanced servo sensor is already used in many military and aerospace applications under ITAR regulations. The new regulations open up many commercial and legacy opportunities, where precise readings and high resolution angular measurements are required. The compact unit, weighing approx. 8.5 ounces and measuring 75 X 38mm, measures from +/- 10 rads/sec² to 100 rads/sec² FSD in 5 separate models. Resolution is 10,000:1 and output is +/-10VDC at full scale. In addition to military and aerospace applications, the ASXC can be used in performance testing of performance cars and trains, camera and sight stabilisers, platform angular corrections in offshore rigs etc.